Is it time to see conflict management as a strategic issue? Conflict is an inevitable feature of organisational life, but too often it is pushed down the business agenda. 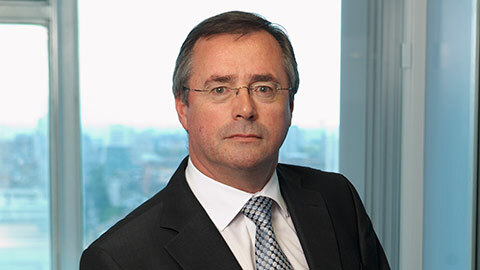 Ed Sweeney (pictured above) and Richard Saundry suggest that business leaders need to acknowledge its impact and devise early intervention strategies to reduce its fallout. According to a 2008 survey from consultants OPP, UK employees spend almost two hours per week dealing with conflict at work resulting in an annual “loss” of 370 million working days. Its impact is not just confined to the minority who are directly involved, but the effects can echo throughout an organisation – hampering performance and having a negative impact on health and wellbeing. There are also signs that the difficult economic climate in recent times has seen an increase in individual disputes, as employers look to cut costs and improve performance. For example, the CIPD’s 2011 conflict management survey reported that “the scale of workplace conflict is remarkable and has increased in the recession”. The past 12 months have seen around 300 policymakers, HR practitioners and academics coming together for a series of seminars to examine how organisations can respond to this challenge. Funded by the Economic and Social Research Council (ESRC), the “Reframing Resolution” seminar series has sought to define a new agenda for policy and practice. Importantly, one message has emerged loud and clear from these discussions – senior management in organisations need to start thinking about conflict as a strategic issue. Worryingly, the evidence points to the development of a “resolution gap” as the network of relationships that have traditionally encouraged the discussion and negotiation of difficult issues has progressively declined. The fall of trade union coverage means that employees in just 14% of workplaces can turn to an onsite representative for help and support. This is important because research has shown that representatives can play a critical role in identifying and resolving conflict at an early stage. Meanwhile, the HR function in many organisations remains centralised, making interaction with staff and representatives more sporadic and leaving line managers to handle disciplinary cases, employee grievances and other difficult issues. Findings from the ESRC series suggest that line managers often lack the confidence and the skills needed to intervene early and nip issues in the bud. Not only do they fear the potential of litigation, but they often lack support from senior management, because conflict resolution can be less of a priority than more pressing operational matters. Consequently, the time and space needed to resolve conflict effectively and informally is often not available. Also, key indicators on which managerial performance is judged rarely contain any reference to workplace conflict. This creates an environment in which managers either avoid addressing difficult issues or take risk-averse and safety-first options. Why take workplace conflict seriously? At a basic level, resolving conflict through discussion and negotiation saves valuable management time and avoids the negative impact of litigation and long drawn-out disputes. But there is also a more fundamental rationale – the way that managers respond to conflict is critically related to effective employee engagement. If individuals feel that they and their colleagues are being treated fairly, this will help to counter the distrust of management and provide a basis for increased commitment and improved performance. There are a number of steps that organisations can take to start addressing these problems. First, they can ensure that conflict resolution is seen as a core competency for managers and leaders. This includes embedding people management, negotiation and mediation skills into training and development programmes and into the criteria used to recruit, promote and assess managerial performance. Second, organisations can invest in new and innovative approaches to managing conflict. There is growing evidence that workplace mediation can help to resolve issues that might otherwise result in long-term absence and litigation, offering substantial savings in terms of staff time and cost. There is also tentative evidence that, in certain contexts, developing in-house mediation schemes can have wider cultural effects – building trust, improving employment relations and underpinning fairness in the workplace. Perhaps more fundamentally, innovative approaches to conflict management need to be integrated with broader strategies related to employee health and wellbeing and engagement. Third, building positive relationships with trade unions and/or employee representatives is crucial. This will not only help to manage conflict more effectively, avoiding the damage that disputes can cause, but help ensure that approaches to conflict handling have the full support of employee representatives. On a practical level, this means embracing workplace representation, encouraging staff to take on representative roles and providing time and space to ensure that representatives are well trained. Finally, public policy also has a key role to play. Next year’s introduction of early conciliation, through Acas, has the potential to save individuals and organisations from unnecessary litigation. This will need to be monitored in the light of the introduction of fees for the submission of employment tribunal claims. A regulatory framework that incentivises the key components – early intervention, investment in conflict management capacity and the development of effective structures of employee voice – is key. Further details of the Government’s plans are outlined here.